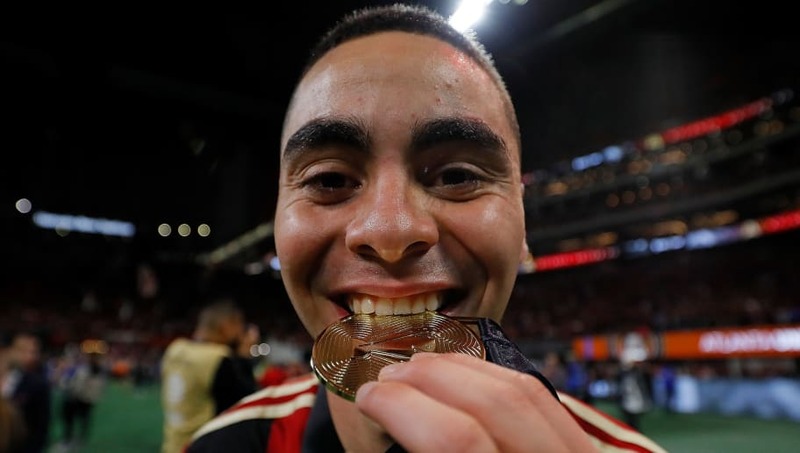 ​Newcastle United's new signing Miguel Almirón has played down the hype surrounding the club-record £21m fee laid out to sign him, and has targeted winning trophies with his new side. The 24-year-old completed his move to St James' Park on the final day of January transfer window, signing a five-and-a-half year deal worth around £60k-per-week. After successfully securing a work permit, the former Atlanta United man is likely to make his debut appearance for the club next week, when the Magpies take on Wolves at Molineux. Discussing his landmark move to the north east, via the Guardian, Almíron said: “I don’t pay too much attention to my price tag or the pressures. My focus is to learn from the manager and my teammates. I’m aware it’s a physical league but every player who comes to the ​Premier League comes with a dream to achieve something big and it’s similar with me. The Paraguay international went on to discuss his ambition to win silverware with the ​Magpies - who haven't lifted a trophy since 1969. Almíron said: "I’m aware it’s been a good while since Newcastle last won a trophy, but my advisers came over here in advance of me signing to have a look around and they sent good reports about the city. "Since my arrival those reports have been proved true; I’ve had a warm welcome. I’ve felt the kindness already. Before signing I spoke to Diego Gavilán (former Newcastle and Paraguay midfielder) and we wrote to each other. He told me: ‘You should go for it.'. Newcastle United has so much history around it and that’s a form of pressure in itself. "We know what the fans demand of us but it’s always been my dream to come to Europe and play in the Premier League." Meanwhile, former Magpies goalkeeper ​Tim Krul has claimed he made the right decision leaving he club to join Championship side Norwich City. The ​Canaries are currently top of the division, and the Dutch stopper had a succession of unsuccessful loan spells during the latter days of his 12 year Newcastle, before moving to Norwich last summer.